Candidates with a passion for excellence, expertise in Residential Night Supervisor and proven leadership experience are invited to apply for a career with Four Seasons. Join a team that is built on mutual respect, collaboration, creativity and a commitment to the highest quality of service. Four Seasons Hotel and Private Residences Bangkok Chao Phraya provides guests with a haven of serenity and luxury in a bustling city. Four Seasons provides employees with the same level of care that we expect to be shared with our guests. We have been ranked in FORTUNE Magazine- s 100 Best Companies to work for since 1998. 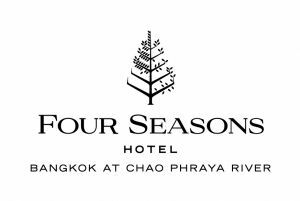 The Four Seasons Private Residences Bangkok at Chao Phraya is looking for a Residential Night Supervisor who shares a passion for excellence and who infuses enthusiasm into everything they do. Our Residential Night Supervisor will have the opportunity to shape the resident experience by providing exceptional knowledge and service. This position reports to the Guest Services Manager and Assistant Director of Residences. Operating from the Residential Lobby to facilities floor and Four Seasons Club floors, the Residential Night Supervisor responds to a wide variety of homeowner requests by accurately assessing the resident- s needs and inquiries; offering personal recommendations, personalized touches, safety and security to achieve maximum resident satisfaction while complying with all Four Seasons- policies.